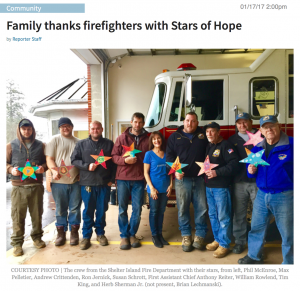 Painting Stars of HOPE over holidays shows our family’s gratitude. Susan Schrott is a busy woman with a busy practice as a Certified Eating Disorder Specialist. She realized that she spent a lot of time helping people one on one, behind closed doors in the privacy of her office. She was looking for a way to bring her passion for art, and yoga together to help larger groups of people heal. Stars of HOPE gave her a chance to share her healing with different communities. 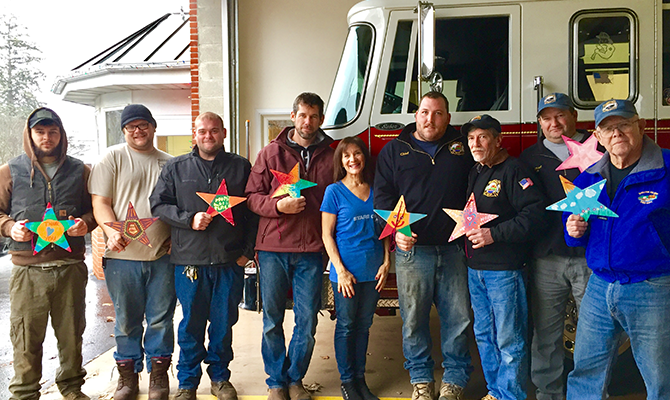 Susan and her family made Stars of HOPE over Thanksgiving for Sloane Kettering Children’s Hospital. Then, a fire tore through her local movie theatre, completely destroying this beautiful landmark. Firefighters rushed to the rescue of the local movie house from far and wide. 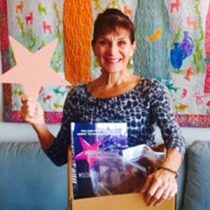 Susan and her box of stars were ready to deliver thanks and appreciation to the local First Responders. Susan is an Ambassador of HOPE!